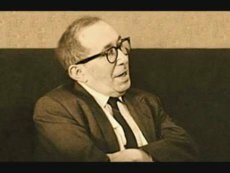 It feels a little strange to raise the question of Leo Strauss’s relationship to Catholicism when his relationship to Judaism has scarcely been clarified. If we could sort out the latter then perhaps the former would fall into place. Instead we are left only with questions and it is into this fog of uncertainty that Jim Stoner has cast a searchlight. Perhaps only a Catholic would have the temerity to aim at clarifying what has been left in deliberate obscurity. Even while demurring that certain problems do not admit of a solution, Stoner seems determined at least to probe the limits of their indeterminacy. His is a splendid exploration of the boundaries of Strauss’s thought, one that is all the more impressive for both its candor and penetration. One suspects that the exercise is only possible because it is more than an academic exercise. A deeply existential thread interweaves the analysis. The question of how Strauss stands in relation to Catholicism (not vice versa) is one that matters deeply to Stoner. It is a question that he must clarify in order to grasp how he stands in relation to both of them. A rapprochement, even one that finally ends as a practical rather than a theoretical stance, is earnestly desired. It is this imperative that not only sustains the inquiry but enables it to reach the heart of the matter. In this way Stoner ultimately places himself outside the parameters of the master’s thought. A Catholic Strauss is one that stands beneath the gaze of the Church – surely a strange place for a Jew to find himself. The only slight reservation I have to the overall project, a project with which I have the deepest sympathy, is that it still retains the rather conventional terminology that Strauss himself employs. This is a matter of some consequence because it continually hovers below the surface of Stoner’s analysis. It is discernible in the elusiveness of many of Strauss’s formulations and it is pervasive within the openness to mystery that is the hallmark of the Catholic mind. Stoner swims in this medium without fully acknowledging the impossibility of apprehending it. In contrast, Eric Voegelin reached his great intellectual breakthrough when he recognized the necessity of abandoning the language of ideas. Ideas are not ideas. They are the temporary markers for an incomparable profusion of thoughts, reverberations, and sentiments that overflow the putative boundaries assigned to them. The language of ideas, a problem of Platonic genesis, conveys the illusion of mastering what we must live within. This is why terms like “reason” and “revelation” do not have the fixity we ordinarily take them as possessing. To employ them as even St. Thomas does is to run the risk of ignoring the impossibility of limiting them. In many respects the great failure of his synthesis of grace and nature, a failure that does nothing to obviate the vital core of the convergence, was to formulate it in the language of fixed entities. It could not then explain how nature is not simply nature when it is from the beginning open to grace, just as grace is not simply supernatural when it completes the work of nature. The principle that grace does not abolish nature but brings it to perfection is a principle that can scarcely be articulated within the scholastic categories. The disintegration of the medieval synthesis is evident even in its culminating formulation. It is for this reason that we cannot simply talk, as Strauss and Stoner seem to do, about God and whether he exists or not. Whatever God is he is not among the things that come into existence and go out of it, and about which we may ask about their existence. As the condition of the possibility of existence, God cannot simply exist. Right away, God exceeds the possibility of discourse about him. St. Thomas understood this and elaborated the notion of analogia entis to address it. That profound realization was not, however, sufficient to prevent us from slipping back into the habit of assuming we can determine whether God exists. In a related way we become incapable of dealing with the revelation of God, something that Strauss and Stoner assume can easily be defined. If God reveals himself to particular persons then they must be privy to some information that is not directly available to the rest of humanity. But what could God communicate that would be other than God? Does revelation have a content, a teaching or message? Or do we merely extract one from the encounter with the One who cannot be encountered? What idea could be as great as God himself? Once we permit the boundaries of conventional discourse to so dissolve we realize that we are really very far from Kansas. This is a very different landscape. Strauss’s great intellectual limitation was surely that he refused to elaborate such thoughts even though he profoundly intuited them. A need to hold onto the definite precluded too much dwelling on the indefinite. But something more than Greek aversion to the indeterminate is involved in this stance. There is a resolve to hold onto a content or creed that can be saved from the ravages of doubt and disagreement. Both Judaism and the Church are constituted by just such a commitment to orthodoxy. What may be admirable from a perspective of historical continuity is, however, less than admirable from the point of view of philosophical reflection. In many respects this was the inexorable tension within which Strauss lived. Voegelin, on the other hand, was prepared to think outside the bounds of the community to such an extent that he was hardly surprised by the question of whether he remained a Christian. It may indeed be that Voegelin deepens the mystery we would rather have clarified. The suggestion that reason itself arises from a revelatory event leaves us with far less certainty about the parameters of their relationship. Yet the advance in unclarity is paradoxically a gain in clarity, for we are now aware of the dimensions of the challenge before us. The more conventional mode of discourse, adopted by Strauss, admits the mutual irrefutability of reason and revelation without raising the question of the status of that observation. Is the assertion of their irreducibility a statement that arises from the side of reason or one that is included within the horizon of revelation? If it is a purely rational statement then reason is the supreme judge. But if the self-limitation of reason is conceded then it must arise from what is beyond it. At any rate, we cannot simply establish the boundaries of each without adverting to their implicit transcendence in the judgment itself. Having admitted, as Jürgen Habermas does, that we live in a “post-secular age,” we cannot simply return to the neatly assigned divisions we have left. “Metaphysics” is no longer a topic for discussion, but the indispensable thread we must follow if we are to find our way. In this regard I found Stoner’s long quotation from Strauss, opening with his passing admiration for the neo-Thomists, to be the most fascinating. The issue is that those who would “sit at the feet of the great philosophers of old” cannot quite overcome the dismissal of metaphysics that marks the modern world. How can they withstand, Strauss asks, the charge of “weak-kneed eclecticism” that in the end lacks “the singleness of purpose and inspiration” of which they are most in need? Presumably this is also a swipe at the neo-Thomists that are lauded at the beginning of the quotation. At least they serve the function of exemplifying what must be avoided. Strauss may recognize the charge of “weak-kneed eclecticism” but he remains determined to rebuff it. This explains, as Stoner suggests, his harsh rejection of the moderns for whom dispensing with metaphysics had become a starting point. Whether that is a fair characterization of Hobbes and Locke is another matter. The vociferousness of Strauss’s assessment of them is intelligible as an oblique affirmation of the classical foundation in metaphysics and faith. I am indebted to Stoner for making this issue clear in a way that I had not quite perceived before now. It is evident to any careful reader of Natural Right and History that Strauss nowhere establishes the claim to natural right he asserts as indispensable. The performance is puzzling until one realizes that it was Strauss’s inability to establish natural right directly that necessitated the indirect approach of exposing its absence in the moderns. While unable to overcome the dominance of non-teleological natural science, he was determined to retain the authority of a teleological science of man. That commitment is what requires Stoner to consider the relationship of Strauss to natural law. Clearly this is the point of maximum discomfort with the master, as it is likely to be from a Catholic perspective. Both Strauss and Voegelin are concerned to establish the difference, and superiority, of classical natural right from the Stoic and Christian development of natural law, although not for the same reasons. Stoner’s discussion of this thorny question is the most incisive in his reflection. He passes over Strauss’s defense of the flexibility required of statesmanship, to the more substantive charges that natural law asserts the unity of intellectual and moral virtue and its full accessibility through natural reason. The non-severability of philosophic thought and moral action is already there, Stoner shows, in Plato and Aristotle. He has significantly more difficulty in responding to the criticism that natural law depends on supernatural illumination. St. Thomas concedes that divine law is needed precisely for that purpose, so in a sense he acknowledges the validity of the objection. Even John Locke arrives at the same conclusion in On the Reasonableness of Christianity. In the end Stoner seems to accept the need for “supplemental” wisdom, an admission that would scarcely be necessary if one did not have to defend the notion of “natural” law. That difficulty, however, pales in comparison to the challenge presented by Strauss’s implied suggestion that Christianity is ultimately the source of the modern upheaval. By departing from the Aristotelian constancy of human nature, Christianity has unleashed the idea of historical transformation. Somehow Strauss manages to exempt Judaism and Islam from the charge on the ground that they never made philosophy subordinate to religion. Yet they did aim at historical perfection and transformation. In many ways it is Christianity that clung most firmly to the eschatological nature of that goal and thus remained closer to the impossibility of transformation within time. The best that Stoner can do is mitigate the force of Strauss’s charge against Christianity, a charge that is largely supported by Voegelin, by adducing the continuing adherence to Aristotle by St. Thomas and the Church. But that may not be enough to answer the intellectual core of Strauss’s position which, Stoner explains, is that Christianity allowed its universal moral law to supersede the particular law of the polis or closed society. It is not, however, clear that this objection requires a response since it does little more than call attention to the irresolvability of tragic conflict. Strauss seems to suggest we might have a choice when the whole point is that it we have none. That is the essence of tragedy. The Christian answer is contained in the development of just war theory. It neither abandons responsibility for the defense of the concrete community nor reneges on the imperative of universal law. Instead it looks toward their reconciliation within the eschatological fulfillment. Just war does not represent a prohibition on the use of violence but it does constitute a radical disavowal of its ultimacy. In the end we are not citizens of a particular polis, however firmly we defend it within time, but brothers and sisters within a transcendent community beyond it. This was a conception that reached its theoretical apogee in St. Augustine’s distinction between the City of God and the Earthly City, never to be confused with Church and State. The latter were particular communities that now became penultimate to the eschatological differentiation. We may have particular allegiances, but must acknowledge that they are not final. War may be a necessary means to the restoration of justice but it is not itself the restoration of justice. Christianity has, in other words, resolved what from a worldly perspective can only be an irresolvable tragedy. Having been called to live under the imprescriptible command of justice, we are nevertheless obligated to our own concrete political community. The collision, as Strauss observed, is inexorable. It can only be transcended by regarding the opponent as more than an opponent. War may still be prosecuted in all its rigor but inwardly the enemy is beheld quite differently. The truth of war is reconciliation. It had always been intuited that war could not be the last word between political societies. Now Christ has shown what that last word is. Love is the primary and surpassing imperative. That is, the love that is prepared to lay down its life for the other. That ethical overload is what makes it possible for the ethical life to be lived, even as it is incapable of transforming the profoundly flawed world in which it emerges. The eschatological fulfillment is unmistakably located in the eschaton. The longing for perfection that underpinned Greek philosophy can now be understood as a movement of transcendence that neither escapes nor abolishes the world. The world is the Calvary of transfiguration. It is in this way that Christianity introduces the note of unwavering realism into politics and yet saves it from the nihilism of despair. That is the note of abiding commitment to balance that Stoner finds as the ultimate point of convergence between Catholics and Strauss. The moderating of ambitions and expectations is the hallmark of their anti-utopian mindset. Even when Strauss might favor exceptions to the moral law while the Church upholds the requirement of moral absolutes, at least as prohibitions, the divergence is more apparent than real. Each side would be more inclined to pursue a practical political solution even if theoretical justification cannot be attained. A prudential judgment may be the most that can be reached. Yet we must remember that prudence cannot simply be sustained on prudential grounds. As an orientation to life it must rest on an acceptance of the order of being that prudence itself cannot always articulate. That is the task of the philosopher and the political philosopher in particular. If there is a failing both in Strauss and within Catholicism it is a readiness to mistake the desideratum for the path toward it. By taking their own metaphysical faith for granted they neither provide the necessary guidance toward it nor, more importantly, ensure that it will always be available at those junctures when it is needed most. Jim Stoner has demonstrated, however, that neither all Straussians nor all Catholics are responsible for that lacuna. He has shown that faithful discipleship involves more than merely transmitting what has been handed on. Also available is Jim Stoner’s ” The Catholic Moment in the Political Philosophy of Leo Strauss” and reviews on the same subject by James V. Schall, Paul Seaton, and Timothy Fuller. David Walsh is the Chair Board Member of VoegelinView, President of the Eric Voegelin Society, and Professor of Political Science at Catholic University of America. He is the author of a three-volume study of modernity: After Ideology: Recovering the Spiritual Foundations of Freedom (Harper/Collins, 1990), The Growth of the Liberal Soul (Missouri, 1997), and The Modern Philosophical Revolution: The Luminosity of Existence (Cambridge, 2008). His latest book is Politics of the Person and as the Politics of Being (Notre Dame, 2015).